I guess sociologists have a sense of humor after all. A fair reading of Eliot Spitzer’s record as presented by Masters suggests that he is both a genuine cause crusader and a career political hack. Spitzer has consistently used — and abused — his authority as New York attorney general to level sweeping accusations against a wide swath of American business. In some cases, like the proverbial stopped clock, he got it right. In a lot of cases, however, the much ballyhooed charges got a lot of press attention but then quietly went away. Indeed, on the few occasions he’s taken one of these high profile business cases to trial, he’s lost at least as often as he’s won. Instead, his record consists mainly of using media pressure to extort settlements from frightened executives. Oh, and by the way, down with Giuliani too. She noted that Foucault’s ideas are rapidly growing in popularity and influence in a wide range of fields including the social sciences and the humanities, also nursing, health administration and education. Unfortunately this list coincides with a list of problem areas in my humble opinion, though I would not be rash enough to blame Foucault’s influence alone. 1. The literature from the 1970s and 1980s on the “M-form hypothesis.” The classification scheme is described in Williamson and Bhargava, “Assessing and Classifying the Internal Control Apparatus of the Modern Corporation,” in Keith Cowling, ed., Market Structure and Corporate Behavior (London: Gray Mills, 1972). Empirical papers (you’ll have to Google them) include Armour and Teece (1978), Steer and Cable (1978), Teece (1981), Thompson (1981), Harris (1983), Cable and Dirrheimer (1983), Cable and Yasuki (1984), and Hill (1985). I’m currently working on a paper revisiting these data using some updated techniques. 2. The “diversification discount” literature in empirical corporate finance. 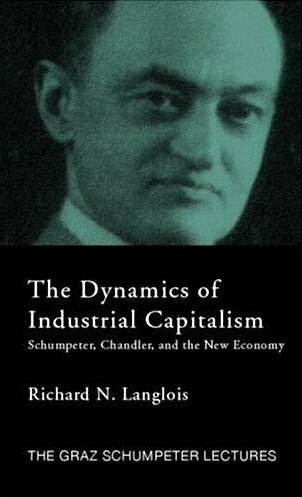 This literature is about organizational form to the extent that organizational form is correlated with the number of industry segments, the distribution of activities across industries, or some measure of relatedness. (Among the many papers in this literature, the best known are Lang and Stulz, 1994; Berger and Ofek, 1995; Campa and Kedia, 2003, Chevalier, 2004). 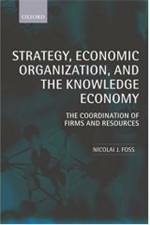 A few papers try to infer organizational form from past activities, such as prior acquisitions (Hubbard and Palia, 1999; Klein, 2001). 3. More direct measures include segment or subsidiary counts within a single industry (Klein and Saidenberg, 2005, Sanzhar, 2006), the ratio of administrative staff to total employees (Zhang, 2005), the number of positions reporting directly to the CEO (Rajan and Wulf, 2003), and the average number of management levels between the CEO and division managers (Rajan and Wulf, 2003). This will all be discussed in more detail in the magnum opus. The University of Missouri is once again trying to fill the Kenneth L. Lay Chair in Economics. Drop me a line if you’re interested. But you’d better move fast. On the other hand, if the dependent variable is individual film revenues, rather than film studio market value, the presence (and presumably behavior) of particular stars seems to have little impact on performance. So says Art DeVany (via Marginal Revolution).